Some of our favorite indulgences can wreak havoc on your teeth. Whether you can’t start your day without a cup of coffee (or three), love to unwind with a glass of red wine, haven’t kicked your smoking habit, or you have a sweet tooth that just won’t quit, these and other rituals leave your teeth susceptible to stains without proper prevention and treatment. If you do a good job of staying on top of your dental hygiene, you can avoid a mouth full of discoloration and smile-fading stains. There are two kinds of stains: intrinsic (permanent), and extrinsic (removable). Intrinsic stains occur below the surface of the tooth early in life, inside the protective enamel. They tend to develop when young teeth and enamel are growing and can be caused by a high fever, taking certain antibiotics, or drinking water that contains large amounts of fluoride. Some are more likely to see these types of stains because of their genetic predisposition. Since you can’t change your genetic makeup, patients will look to dental solutions like laminates (a thin layer applied to the tooth’s surface), or crowns (a cap that goes over the entire tooth), to change the appearance of their teeth when the stains can’t be removed. On the other hand, extrinsic stains are caused by consuming highly pigmented foods and can usually be removed and even prevented. These stain-causing perpetrators include nicotine, green tea, coffee, and red wine that are high in a compound called polyphenol. The effects of these foods and drinks show up as stains when the pigment latches onto the plaque buildup that’s already on your teeth. Because plaque is porous, it absorbs the color in these liquids and foods, and if enough food, saliva, and bacteria builds up along the gumline, the plaque will harden and turn into tartar, which is a lot harder to remove. A trip to the dentist for a professional cleaning is usually the first step to reversing discoloration caused by tartar build up. While no one is exempt from the buildup of plaque-causing bacteria, some mouths are genetically predisposed to an excess of plaque and therefore the possibility of stained teeth. At the same time, other mouths naturally produce saliva in high quantities which helps to fight off bacteria and keep the gum line clear. For these reasons and more, the susceptibility of your teeth to stains depends on a combination of genetic factors out of your control, and how much stain-causing food you’re consuming. You’ve heard the saying “everything in moderation,” and the same goes for stain-causing foods. 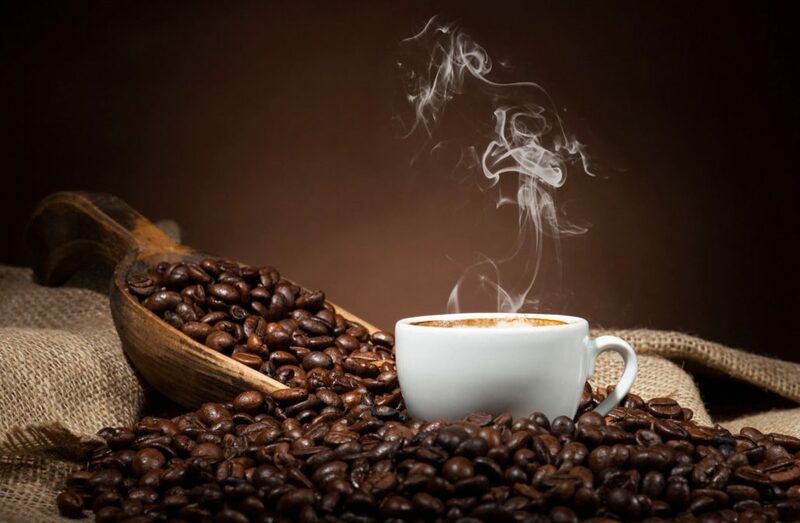 If you love coffee, you don’t have to eliminate it from your life to keep your teeth stain-free. If you have five cups each morning and don’t thoroughly remove plaque buildup, you’re likely to see some stains. On the other hand, if you keep it to a cup or two a day and take brushing seriously, you may not see staining. Another way to have your coffee and drink it too is by sipping stain-prone beverages through a straw. Though it may diminish the drinking experience of red wine or coffee, it will prevent what you’re drinking from making direct contact with the front of your teeth. Like consuming stain-causing foods and beverages in moderation, there are things you can do to prevent pesky spots dimming your pearly whites. Limiting your intake of sugary foods that will linger on the gumline is a good place to start. In fact, while many people think black coffee is the worst stain culprit, adding sticky sugar will actually increase the chances of staining. The same goes for sugars found in any other carbohydrate-heavy foods, so it’s important to be mindful of what you’re allowing to stick to your teeth and be sure to remove it with at least one thorough tooth brushing every day. Dentists recommend brushing twice a day, and for at least two full minutes at least one of those times. Don’t want to count? Electric toothbrushes often have built-in timers to help you keep track, and the small movement is also less abrasive on the teeth and gumline. While the idea of carrying an electric toothbrush around with you would sound good to your dentist, we know it’s not realistic. To wash away plaque on the go, we recommend rinsing with mouthwash to get rid of particles that may be a threat to the surface of your teeth. If those preventative measures don’t do the trick, there are a multitude of hydrogen-peroxide based whitening products you can get at any pharmacy. Some of these over-the-counter options, like mouthwashes and whitening strips, may give you a quick burst of brightness, others may take longer depending on the inner makeup of your teeth. If the chemical-based whitening tools come up short, the best think you can do it visit your dentist. A regular cleaning will wash away tartar build up and any yellow tint you might be experiencing, and clean your gum line so you can start fresh.